One would normally expect that a drugstore would contain only drugs, vaccines, food supplement, and other health products. But almost all drugstores in the Philippines are also convenience stores. Thus, they sell various products, from snacks and soda to beer and hard liquor. Mercury drugstore is the biggest drugstore chain in the Philippines. 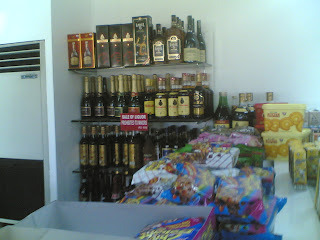 And since all of its branches have a convenience store, it is also among the biggest convenience stores in the country. 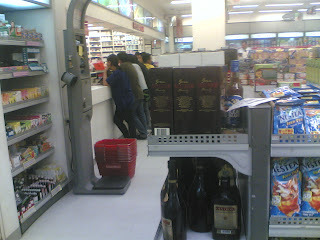 Aside from selling drugs and other health and food products, some Mercury drugstores also sell hard liquor. Like this one in its branch in front of Makati Medical Center. This one is from its other branch in makati. This is not to attack Mercury drugstore. I buy medicines there for my daughter or for my wife. It has lots of branches nationwide, in convenient areas. Of course I also buy medicines and other consumer items from its rival drugstores-convenience stores like Watsons. 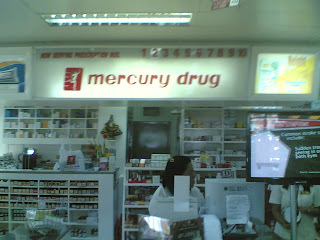 I just think that being a big drugstore, Mercury should have avoided selling alcoholic products in its branches. Or do their regular customers demand it from them? This afternoon, I went to the Philippine Health Insurance Corporation or PhilHealth, Manila office at Quirino Ave. My purpose is to file the form for reimbursement (plus official receipts) of my wife who was hospitalized last month. 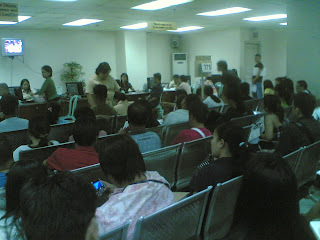 The claims and membership assistance section is on the 4th floor of the building. 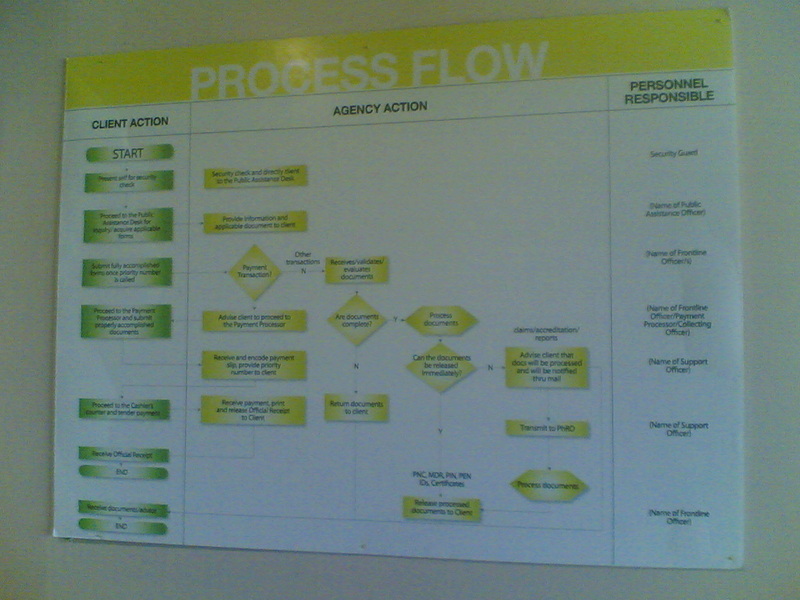 Outside the room there is this flowchart on steps for claims. Sorry, my camera phone is low-tech and can only give a low res picture. But at least there is effort by PhilHealth to inform members of some steps to go. Inside the room though, there are plenty of people waiting for their number to be called. I entered that room and got my number around 2:25pm, was entertained around 4:30pm (or about 2:05 hours waiting). It's not a good way to spend your working day, waiting for 2 hours or more. Anyway, the staff are helpful and professional, except that they are still few compared to the big number of members and fund contributors filing for claims and other purposes. The reimbursement will be given after at least 60 working days, or about 3 months at least, wow! One may wonder why it takes that long for PhilHealth to give the reimbursement, considering that members and fund contributors are paying on time. If they are not updated in their payment, they may not be eligible for reimbursement. Perhaps PhilHealth needs to check and re-check the papers and receipts presented, in order to weed out bogus or excess claims by some opportunist members, or opportunist physicians, hospitals, etc. I think there should be some ways to shorten the period of reimbursement. My wife's expected reimbursement is not big, only P5,000+. I just checked PhilHealth's website, I was looking for some statistics about membership. It's not there anymore, it's gone. They used to have a powerpoint presentation for the latest quarter of the year available. In some of my papers last year, I slammed PhilHealth for exagerrating their number of beneficiaries, saying that they have already covered up to 85 percent of all Filipinos as of mid- or end-2009. It's not true, it's a misleading data, if not a lie. I think their actual coverage, including dependents of members, will not be more than 40 percent of the entire population. Hospital data, both public and private hospitals, show that PhilHealth reimbursement constitutes only about 15 percent of their revenues, with the bulk, about 50 to 60 percent are out of pocket (OOP) expenses, about 20 percent from private health maintenance organizations (HMOs), about 5 to 10 percent from other government entities (local governments, PCSO/Pagcor, DSWD, etc.). PhilHealth got lots of money, P100 billion plus in reserves. That's why it is a big candidate for politicized funds. Meanwhile, I wish that they can speed up the reimbursement period to their members. They owe that to those who were forced and coerced to become PhilHealth members. Meanwhile, I wrote two similar articles over the last few months. I presented this paper last Monday here in Manila during the "Social dialogue on health care". It's 7 pages including a 1-page annex. In food, there is not a single government restaurant or government carinderia or “turo-turo”, or government supermarket, and yet people are eating. Some food are cheap, some are very expensive, but most people eat at least 3 meals a day. In clothing, there is not a single government clothing and jeans corporation, or government shoes and slippers corporation, but people have clothing and slippers. Some are cheap, some are very expensive, but people have something to protect their body and feet. In transportation, there is not a single government bus line, government jeepney or taxi or tricycle corporation, government shipping or airline company. But people are mobile. Those who can afford buy their own private vehicles or private boat or private plane. Compare that in health care where there are government hospitals and clinics, government pharmacies and drugstores, and government health insurance. On top of that, there are plenty of government regulations of private enterprises and corporations in the healthcare industry, like the current drug price control of selected medicines. And yet public health problems are often more pronounced than food, clothing and transportation problems. Competition and market dynamics respond to whatever big market failure is existing. Whereas more politics and more intervention exacerbate whatever is an ongoing government failure. Product differentiation and market segmentation – different prices for different products and services for different people with different needs and different budget – is an excellent tool to correct any market failure. Different suppliers and sellers target their specific buyers and consumers, and the latter send certain signals (like price and quality preferences) to the former, which allow the former to adjust the products that they supply and sell to the public. This spontaneous and quick adjustment is difficult and very slow when government comes in to politicize the delivery of certain services, like healthcare. Things become rigid and less flexible once politics comes in. The bureaucracies and rent-seeking behavior associated with various regulations and taxation get in the way as government comes in. From “expensive medicines”, the government says it wants cheaper medicines, thus the “Cheaper medicines law”. And yet government slams various taxes on medicines that contribute to their high prices. There is clear hypocrisy there. 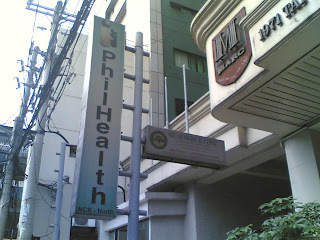 When PhilHealth was created (RA 7875, February 1995), it is explicitly stated. So government recognizes the distortionary impact of income tax and related taxes, that it has exempted PhilHealth and other government corporations from such taxes. So while private health insurance corporations that also provide healthcare services to the public are slam-dunked with various taxes and duties, the government health insurance corporation is exempted from such taxes and duties. There is dual hypocrisy there. Taxing medicines that contribute to their high prices and still loudly call for cheaper medicines. Exempting a government corporation from taxes when the government wants more and higher taxes from almost everything and from everybody. This explains, partly or largely, why the government has low moral ascendancy in expecting public support for its various programs. 3. So, is there government failure in health insurance? Yes, there is. The same way that there is also market failure in health insurance. The only difference is that there are market solutions to market failure that are quicker to emerge if politics should step aside. Whereas government solutions to government failure results in more expensive and more bureaucratic way of solving problems. 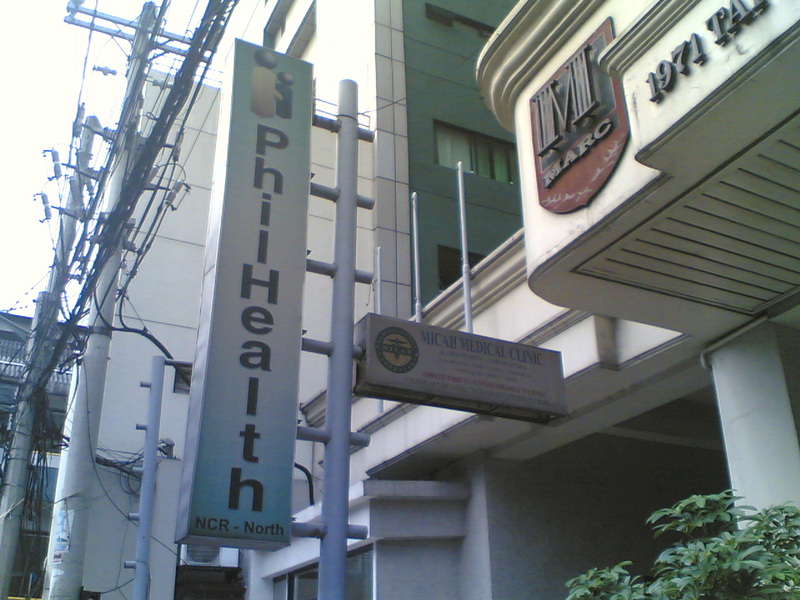 Despite the “compulsory coverage” provision where “all citizens of the Philippines shall be required to enroll in the Program”, PhilHealth membership remains low, only 13+ million of paying members out of the 35 million employed Filipinos. If PhilHealth membership is voluntary and not mandatory, there should be less than 13+ million members, probably only one-half of that number. I just produced a new paper, Socialized healthcare vs. Market segmentation, dated April 6, 2010, 6 pages. I believe that market segmentation of healthcare financing via health maintenance organizations (HMOs) deregulation and more local government provision/participation will allow the majority, especially the poor, to have greater access to better healthcare. National health agencies like Philhealth and the DOH should step back a bit, and allow more roles for local government (like in San Isidro, Nueva Ecija case) and the HMOs. Let them be engaged in fierce competition to get more patients. When the national government comes in the provision of health financing and insurance, there is zero competition. When the design of the project is lousy, it will become lousy when it is implemented. If there are waste, inefficiencies and corruption at the top, such wastes are repeated at the bottom. My hypothesis is that a better, wider coverage of health financing, can be done through more HMOs deregulation, more LGU participation, as add-on to PhilHealth membership. PhilHealth is lousy. They say they have covered up to 85% of all Filipinos already. If that is true, why is it that in many hospital records, between 50-60 percent of costs come from out of pocket (OOP), only 12-15 percent come from PhilHealth? So if PhilHealth is lousy after about 15 yrs in existence, why should we work to further expand PhilHealth power and mandatory contribution? Let us try other modes, like more HMOs competition, more cooperative and LGU health card system. 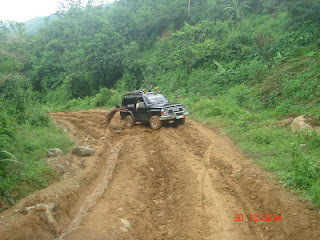 If we combine competition among HMOs, cooperatives and LGUs, it should be fun and challenging. Those who are lousy in providing health financing will lose clients. But not PhilHealth, because membership there is by coercion, by force. Whether you like it or nor, you become a PhilHealth member. That is the only way why Philhealth is making money, by forced and coercive contribution. “La Niña is expected around September and October,” said Dr. Esteban Godilano of the DA’s Planning and Policy Officer. “According to studies, it may still be extended even up to February,” he noted. Climate Change Commission chief Heherson Alvarez said the Philippines is not prepared for extreme weather brought by global warming. That's climate alarmism, plain and simple. There is El Nino and prolonged drought, because of "man-made warming". There is La Nina and prolonged rains and cooling, because of "man-made warming". Here's the sea surface temperature (SST) record as of August 18, 2010. Note the blue color -- very cold ocean water -- moving from east to west pacific, straight to SouthEast Asia -- Philippines, Indonesia, Singapore, Malaysia, and neighboring countries. 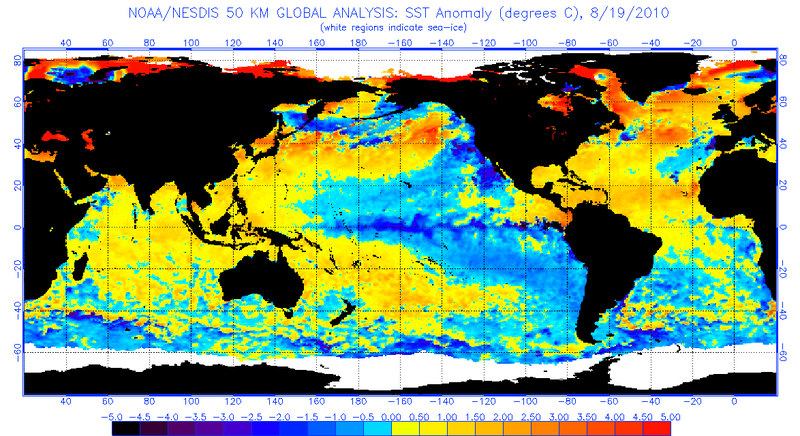 And this is the chart of the SST anomaly as of August 18, 2010. Global SST anomaly is not yet negative, just heading there, but Nino region 3.5 (East Pacific, South America) is already negative since last July or late June. Graphs' sources are from Dr. Roy Spencer. Not all types of coercion are unproductive, like when parents coerce their kids to stop watching tv late at night and sleep early. Or when government coerce criminals to go to prison. But most coercions imposed by government are unproductive. Like high and multiple taxes. That is why taxation has to be done by state coercion, there are legal, political and armed components of the state to enforce taxation to those the state administrators want to run after. Business taxation is among those taxes that many people hate to pay. The higher the business taxes, the more that the state is penalizing success and good performance. That is why many business people hide their real enterprise and personal income whenever possible. And one way to do it is to do business via the "underground" or "shadow" or "informal" economy. Mr Schneider attributes this reversal to the financial crisis, which seems to be pushing more people in OECD and EU countries to avoid the extra burden of taxation by resorting to informal transactions. The shadow economy, in other words, can act as a cushion when times are tough. Right. And governments should recognize that. Any amount of money not siphoned off by the government through taxation will be used by the people for their personal or household or community or corporate needs, like expanding the business, hire more people. More jobs created by the private sector means less people expecting dole-outs or welfare from the government. 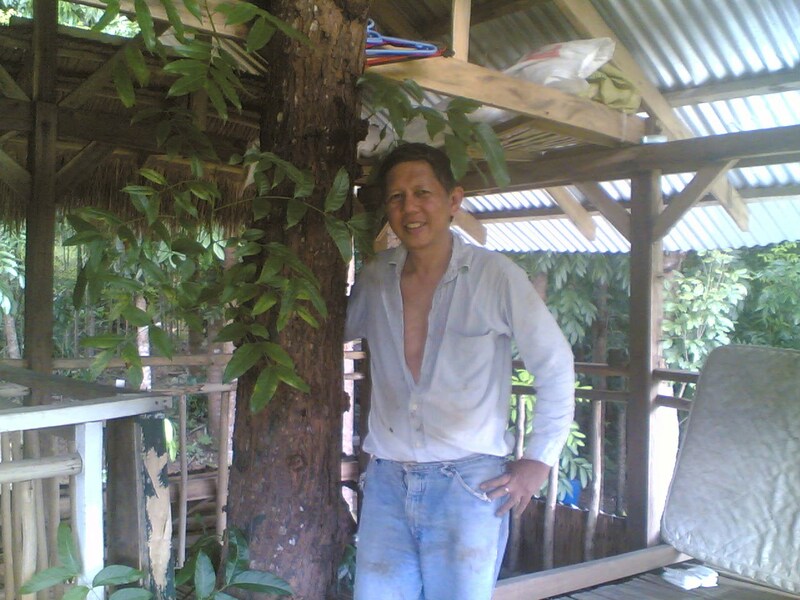 The hostage-taker-criminal in the tourist bus incident yesterday, Rolando Mendoza, was a former police captain. He was dismissed last year because of charges of robbery, extortion and grave threats filed against him and 4 other police officials by an employee of one hotel in Manila. 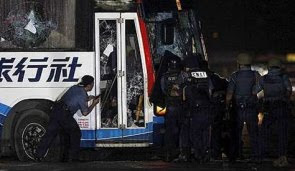 He was angry, so he has to resort to terrorism, by taking a bus full of tourists from Hong Kong, used the foreign visitors as his hostages to impose his demand -- that he should get back his past position as a police official. Whether he was unjustly charged or not, hostage taking is never a sensible solution to assert one's demand, personal or political. After aboout 12 hours of negotiations, watching, monitoring, drama, 8 HK visitors were dead, the hostage taker was also dead. The focus of public discussions was how the Philippine National Police (PNP) handled the crisis -- why it took them 12 hours to end the crisis, why so many dead hostages, why a lot of questionable, if not idiotic actions were commited prior to the storming of the bus, etc. As expected, many potential foreign tourists, especially from Hong Kong and mainland China, cancelled their trip to the Philippines. The HK government even issued a "black" travel advisory to their citizens not to visit the Philippines. The big issue is that the criminal, the hostage-taker-killer, is a former government personnel, armed and dangerous. He's got government-issued armalite and ammunitions, government-conducted training. Such deadly combinations when used to threaten ordinary civilians is very dangerous. I think the criminal was angry that while he was charged (convicted?) as a police extortionist, he knew that many PNP officials are also extortionists. But those guys kept their positions, some were even promoted, so why was he singled out? To get back his position and to become a future criminal in police uniform, he has to do a criminal act of using foreign visitors as his hostages to pursue his personal agenda. And true to being a criminal, he killed some of his hostages and fought it out with policemen in active duty. His death though, will not end a bigger danger: the government as breeding ground of criminals in uniforms. Those criminals are not many, they may be few, but even one criminal -- an extortionist, a murderer, a kidnapper, a carnapper, etc. -- is enough to taint the image of the PNP as an institution. So long as government people do not fully appreciate 100 percent, the importance and value of the "rule of law", the temptation to use their position to perpetuate the "rule of men" will always be there. Today, Dr. Roy Spencer released an update in sea surface temperature (SST) both global and Nino 34 region (east Pacific Ocean). The plunge in SST is deep especially for Nino 34, at the -1.5 C temperature anomaly, very much following the 2008 global cooling. Data as of August 18, 2010. (1) the ocean cooling is being driven by decreased sunlight, or (2) negative feedback in response to anomalously warm conditions, or (3) some combination of (1) and (2). Note that negative low-cloud feedback would conflict with all of the IPCC climate models, which exhibit various levels of positive cloud feedback. Dr. Spencer is a former NASA scientist, currently a practicing climatologist at the Univ. of Alabama in Huntsville (UAH). All important data that he and his university use, are from NASA satellite data, especially NASA's Aqua satellite and its AMSR-E instrument. 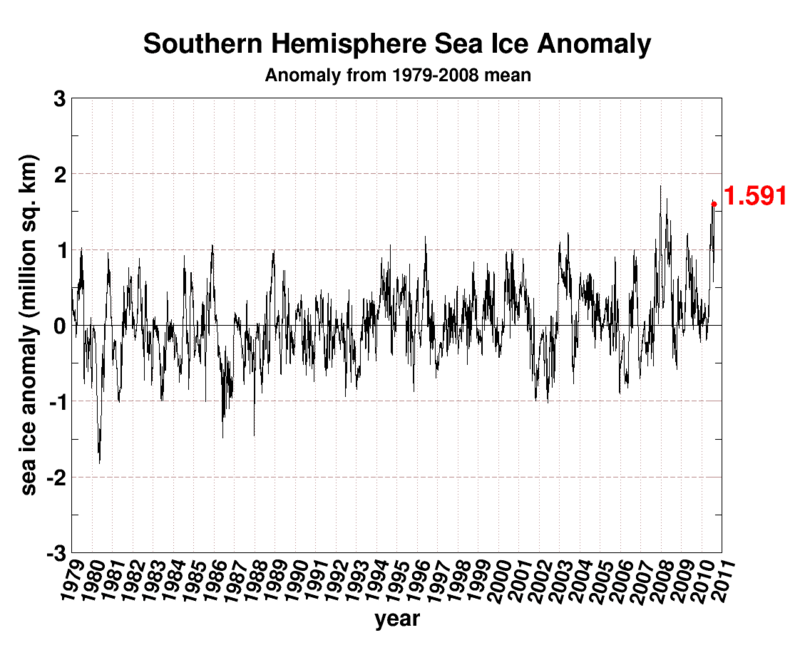 Such data include (a) SST, (b) tropospheric temperature (about 8 kms. above sea level), (c) oceaning SW reflection like the above graph, among others. 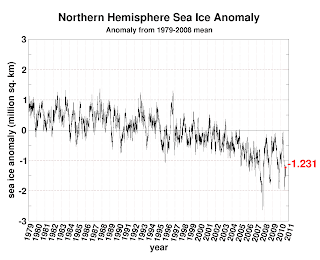 Such NASA satellite data produce more independent, hard to tweak data, and such data show either a warming-cooling-warming-cooling cycle, and more recently, a cooling trend. But NASA is known for being among the frontline climate alarmism camp. Why? It's the Goddard Insitute for Space Studies (GISS), an agency under NASA and headed by Dr. James Hansen, that is actually associated with the warming and alarmist camp, not the entire NASA. And GISS is using (land) surface temperature data collected by thousands of surface thermometers from many stations around the world. Such instruments are known for having warming bias -- like temperature measurements just a meter or 2 away from an air-con exhaust, or situated in car parking lots and affected by reeving car engines and hot asphalt, or situated in airports and their hot plane engines and hot concrete tarmac and runway. When I learned about this, I also shook my head, along with others. NASA is known for space research, not land surface research. 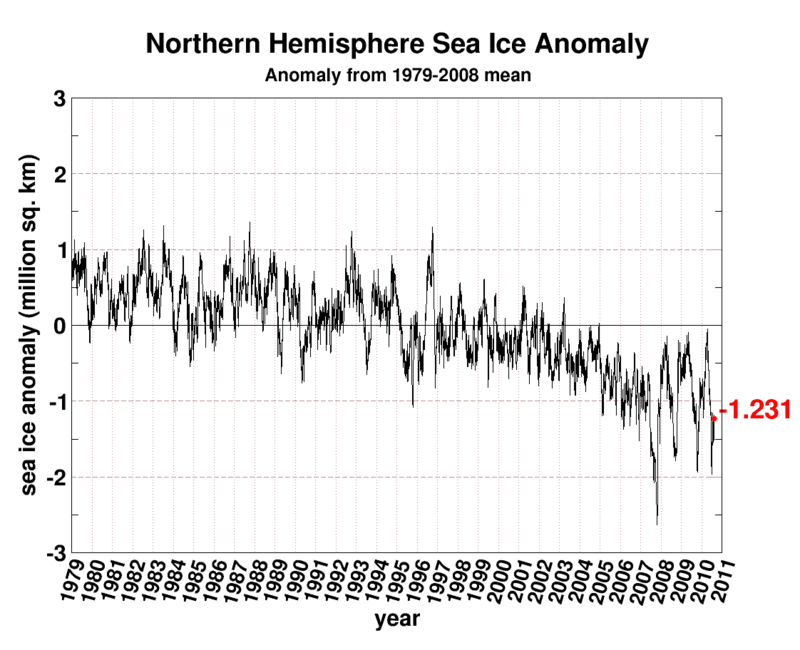 But GISS is relying on land surface temperature data, and not on NASA satellite data. That's how politics work in science. And NASA is a government and political creation, so it is impossible for that office to avoid politics and political pressure. This August 15, the drug price control policy will turn exactly one year old. The government, through the Department of Health (DOH), imposed a 50 percent mandatory price reduction for many branded drugs that it deemed were essential but expensive. Let us see some results of the policy. Medium-sized chain MedExpress and Manson drugstores reported some chilling sales data. From August-December 2009, all the price-controlled drugs suffered a 3.4 percent decline in volume and 34.3 percent decline in sales value, compared to August-December 2009. Comparing January-May 2010 with January-May 2009, sales volume of the price-controlled drugs has managed to post an average of 7.3 percent, but sales value has declined by an average of 65.4 percent. The sales value decline is bigger than the 50 percent forcible price reduction because there are other mandatory discounts that the government has imposed on drugstores on top of the 50 percent mandatory price cut, like 20 percent mandatory discount for both senior citizens and persons with disabilities (PWDs). There are a number of reasons why the drug price policy failed. Four reasons stand out. One, the policy was driven mainly by politics and not by any national health emergency. A former Senator running for President but lagging in Presidential surveys pushed hard the issue some 12 to 13 months before the May 2010 elections. A very unpopular President serving the last of her 9 years in office rode on the emotional popularity of the measure. Two, competition among innovator drugs and generic drugs was already dynamic prior to the price control measure. Take amlodipine molecule for anti-hypertension. The most popular drug was Norvasc 5mg, selling for P44 a tablet. Then it became P22. But the cheapest generic available prior to price control was selling for only P8. The poor who buys the latter drug finds the P22 still a lot more expensive and hence, will not buy it. Three, the policy has the unintended consequence of hitting the local pharmaceutical companies that produce the competing generic drugs. They were pushed to further bring down their already low prices. 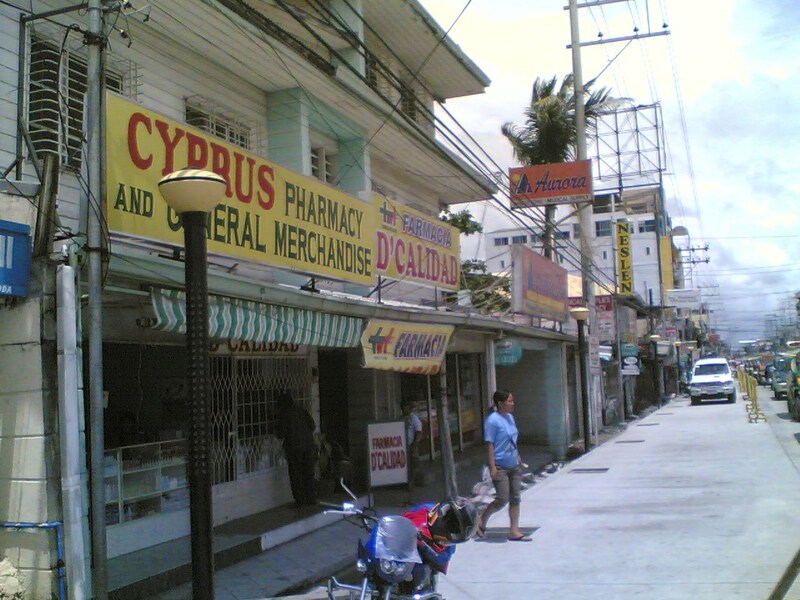 Four, some small and independent drugstores were forced to further cut their personnel and other cost of operations just to survive, or close shop altogether. Which contributed to more unemployment in the country. It is important that the government should focus on encouraging competition among various drug manufacturers, among importers, drugstores and hospitals. The new President should signify that the government will not entertain another round of drug price control in the next six years of its term. This will help improve the investment environment in a country that badly needs more investors and job creators. That's the title of the new book by a new friend, Steve Goreham. Steve briefly defines Climatism as "the belief that man-made greenhouse gases are destroying Earth's climate." Steve sent me a "For Review Only" copy of his book last February. I was amazed at how clear the author has presented the various topics, from science to engineering to economics and politics of climate issues. I thought that Steve was a scientist, but turned out that he's an (American) engineer-businessman who got tired of all the alarmism and lies that were spreading around. He enclosed himself for several months, read the various books, papers he accummulated, plus various online research, and came up with his book. Last May, during the Heartland Institute's 4th International Conference on Climate Change (4th ICCC) in Chicago, I have met Steve in person. The man is a giant, he should be about one foot taller than me. In this picture, two big Steves are with me. 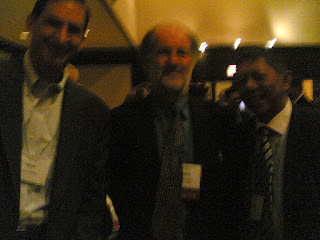 From the left is Steve G, then another Steve, Steve McIntyre, a Canadian statistician and owner of Climate Audit, and me. Chap. 11, Snake Oil Remedies to "Save the Planet"
PART III. Renewable Energy "Solutions"
If there was no human industry to emit carbon back in history, how did the atmospheric CO2 increase? The answer is that the CO2 increases are from natural causes, primarily out-gassing from the oceans. 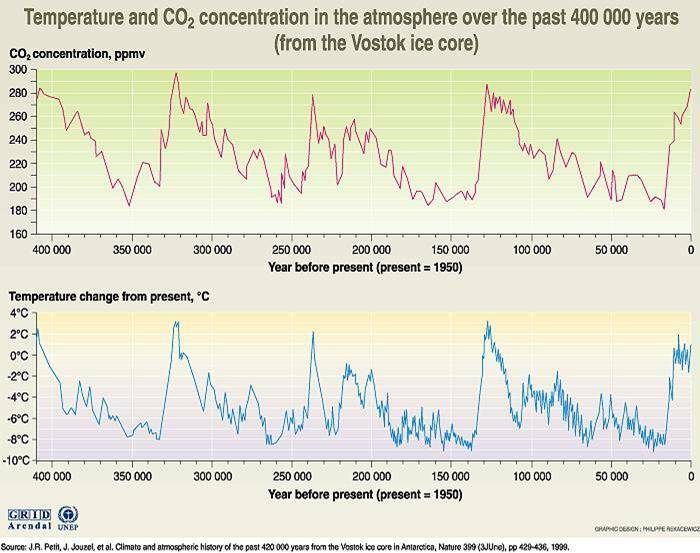 And note the cycle in global temperature -- warming, cooling, warming, cooling. 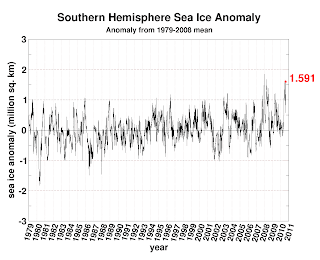 Just another proof that climate cycles happen, that "unprecedented warming" is a joke. 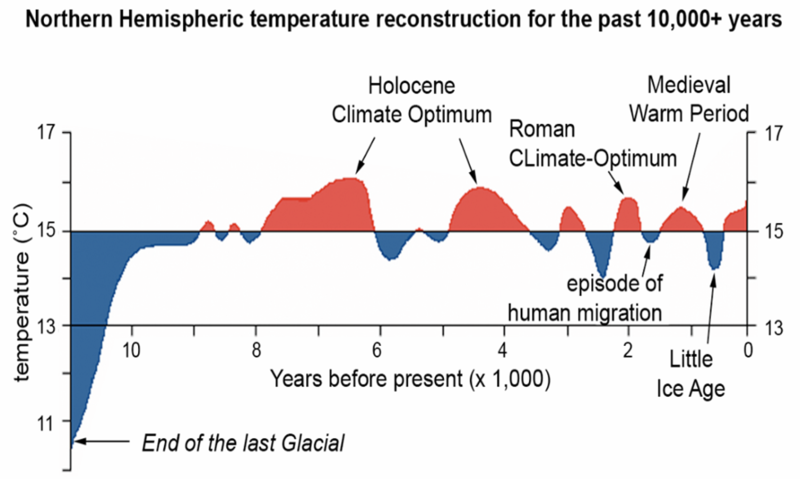 In Chapter 4, Steve showed this graph, a roller-coaster ride of warming-cooling-warming-cooling since the last Ice Age some 10,000 years ago. 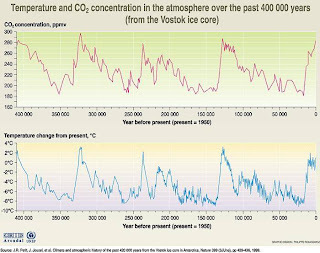 It shows in particular, the Holocene, Roman and Medieval warm periods, and the Little Ice Age (LIA) just prior to the Industrial Revolution in 1800s. Data is from oxygen isotope analysis of ice cores in Greenland. In Chapter 5, the author showed a graph similar to this, with labels of the (a) Maundeer Minimum between 1650 to 1700+, (b) Dalton Minimum in 1800+, and (c) Modern Maximum from 1850 to the last century. The two minima coincided or represented the LIA. 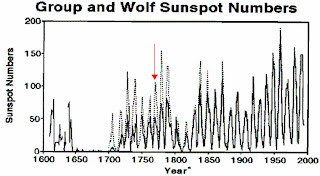 Where there was a period of weak and few sunspots, that was also the period of global cooling. 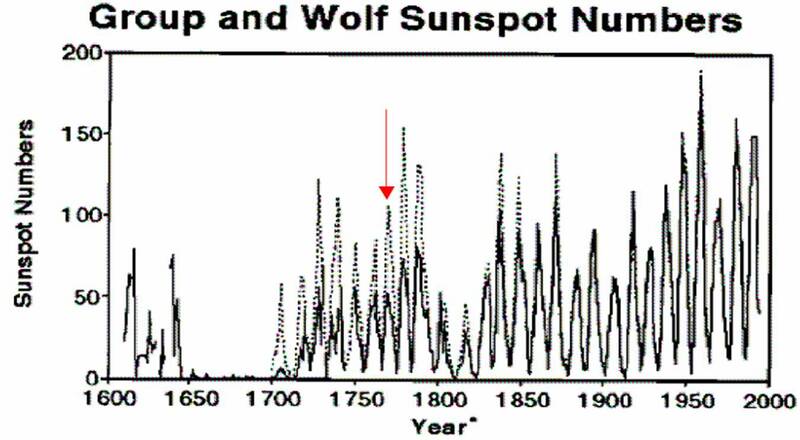 And where there was a period of strong and plentiful sunspots, that was the period of global warming. 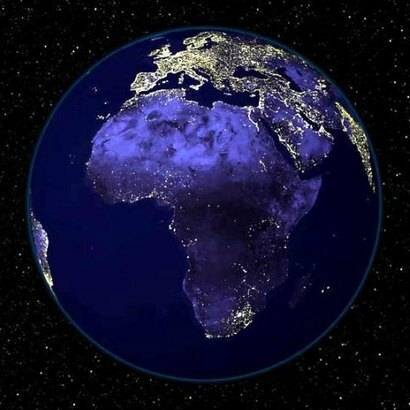 In Chapter 14, the author showed this satellite picture, "Africa at night". Note the bright lights to the north of Africa -- Middle East and Europe. The time zones are similar so evening in Africa is also evening in Europe, so no "camera trick" in this picture. Climatism barks at heavy energy use by modern societies, especially electricity coming from "dirty and non-renewable" sources like coal, natural gas and other hydro-carbon sources. For many climate alarmists, they would rather see more darkness and underdevelopment if a modernizing economy cannot source its electricity from "clean" but expensive, taxpayers-subsidized renewables. This picture is not in Steve's book but it is similar to the "Africa at night" picture above. This is a satellite picture of North and South Korea at night. 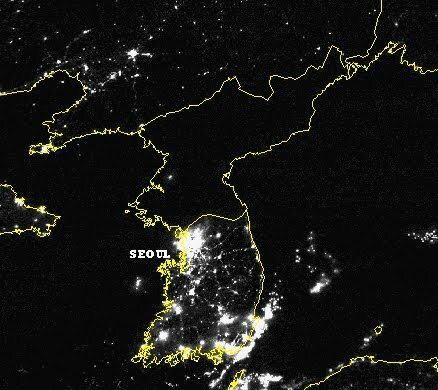 The World Wildlife Fund (WWF) campaigners of their annual "Earth Hour" should be jumping with joy if they were in continental Africa and North Korea. Why? Houses and offices there do not turn off their lights for one hour per year only. Instead, they turn off their lights many hours per night for 365 nights a year. Less electricity from non-renewables, less carbon emission, less "man-made global warming", more joys for their climate religion. 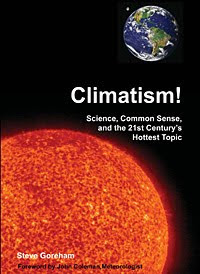 The book is a powerful tool to understand the many natural factors that Al Gore, the various bodies of the UN like the Intergovernmental Panel on Climate Change (IPCC), World Meteorological Organization (WMO) and the UN Environmental Program (UNEP), have deliberately ignored. Many people thought that the IPCC is a scientific body. No, it is not. It is a political, government body, that is why it is called "Intergovernmental Panel". The officials of IPCC are non-scientists but appointed bureaucrats. The IPCC head, for instance, Mr. Rajendra Pachauri, is an economist from India. Steve just emailed me this week saying that he has just accepted the post as Executive Director of the Climate Science Coalition of America. Congrats Steve! It's a well-deserved position and there are lots of work and challenges that a serious researcher and public intellectual like you can take on. I checked the IMF's World Economic Outlook (WEO) recent database to see the actual numbers, and also the ranking of other countries. Below is what I got. Notice how China's economy jumped from only $1.2 trillion 10 years ago to the projected $5.36 trillion this year, or a 348 percent increase. Compare that with Japan's 13 percent jump from 2000 to this year's GDP level, the US's 49 percent increase, Germany's 75 percent increase, and France's 100 percent increase. Other countries that produced huge increase in GDP size in just 10 years are (1) Russia 480 percent increase, (2) Indonesia 305 percent increase, and (3-5) Brazil, India and Australia which registered 200 percent increase in GDP size. The Philippines with 94 million people this year has a lower GDP size than Singapore with less than 5 million people. The country is ranked 47th in GDP size this year, higher than Pakistan. China should continue its fast growth rate. 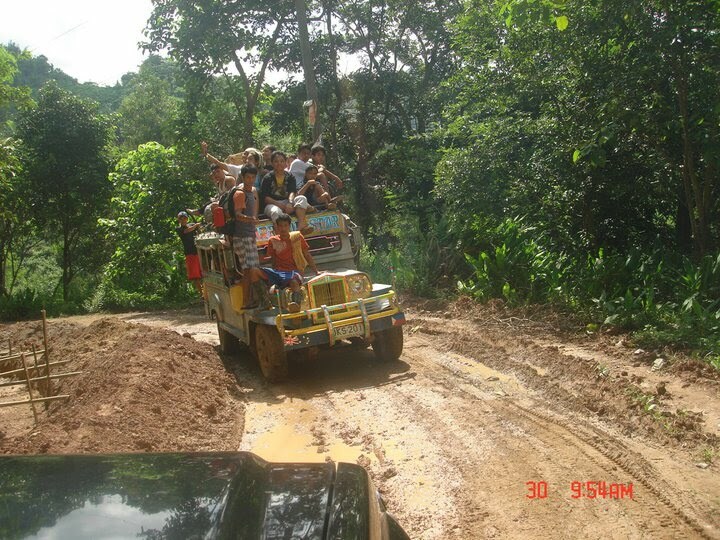 A rich China means a rich billion plus consumers just a few hours from Manila by plane. A rich China also means market diversification opportunity for many other poorer countries that used to rely on exporting their goods and services to the US, Japan and Europe. And more importantly, a rich China means that freeing markets towards more capitalist competition will unleash more entrepreneurial spirit from tens of millions of big and small entrepreneurs and investors. While Germany was enjoying a trade surplus of $577 million per day in the last 12 months ending June 2010, the United States was draining by $1.62 billion per day in trade deficit also in the last 12 months ending in June 2010. China's trade surplus is more than 2x that of Japan's. India and Hong Kong are the only Asian countries in the top 10 biggest trade deficit countries. Below is a list of the world's biggest trade surplus and biggest trade deficit countries. Government-sponsored housing (directly provided or financed or subsidized) is among the “human rights” and entitlements that many welfarists argue as a “basic government function”, along with “healthcare is a right”, “education is a right”, “agri credit is a right” and their various cousins and derivatives. If people would expect that many things are “government responsibility” and very little is left for personal and parental responsibility, then people should expect many things to become “government control and property”, including our monthly income, our savings, our individual rights and liberty. In the Philippines, various government agencies doing various forms of intervention and forced contribution are engaged in housing. Like the National Housing Authority (NHA), Housing and Urban Development Coordinating Council (HUDCC), National Home Mortgage Finance Corp. (NHMFC), Pag-IBIG Fund, among others. I am a month-end (or “trying-hard”) farmer and a lower middle class urbanite. Since I go to the farm (Pangasinan, northern Philippines) every 3 to 4 weeks to visit a farm that I manage (I don’t own it), my dogs (I used to have 7, now down to only 4) and our farm caretakers, I need to have my own house there. And since I want to live in Makati where I hold an office but I also cannot afford to buy a condo or townhouse, I have to continue renting a place. So I got no house in Metro Manila despite various government housing “programs” (to be discussed in future postings) but at least I got a house in the farm. It is easy and non-costly to put up a house there, an all-wood house, because we have lots of trees that we planted since the early 90s. 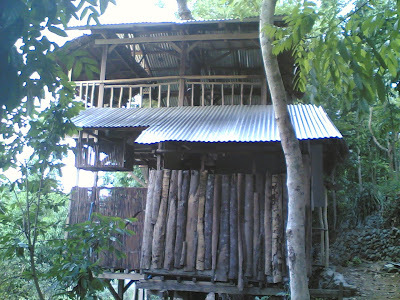 And this is what I got there – a treehouse! It’s a 2-storey, all-wood, no walls (except the toilet, of course), slatted-bamboo floor, house perched on a big and live mahogany tree. 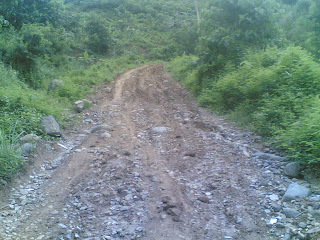 We built it around March 2005, so it’s more than 5 years old now. The tree carries the bulk of the weight of the house, but there are 8 smaller posts that help support the house and give it more stability. 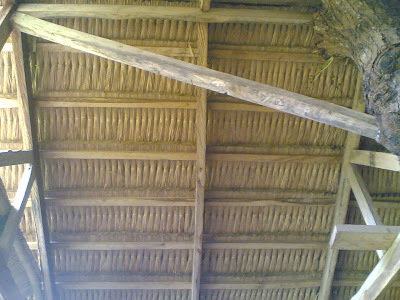 The roof used to be cogon, neatly tied and arranged. It’s cool, not hot on cloudless days and not noisy when it rains. 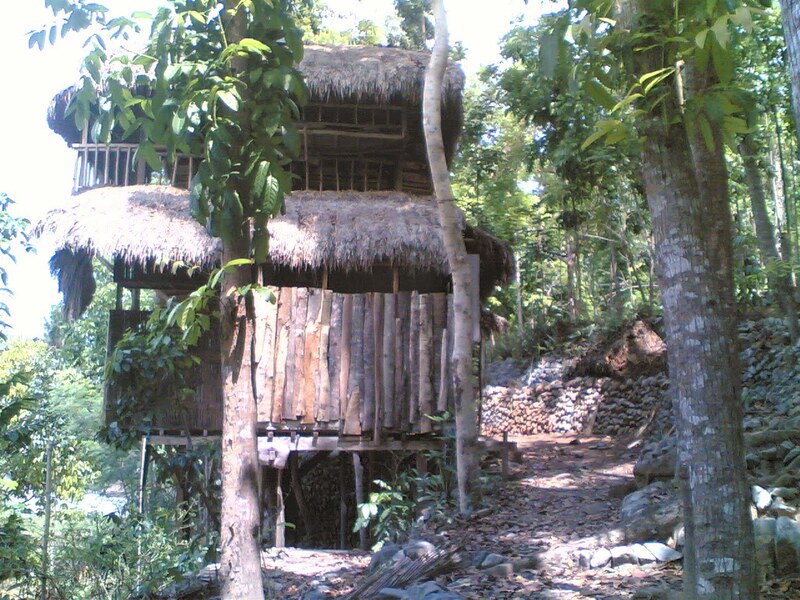 But remember, this house is perched on a live tree. The tree’s trunk on ground floor is getting thicker but not rising. The second floor though is rising by about ½ to ¾ inch per year. And the trunk where the roof is clamped is rising by about 3 inches per year! The roof has to be repaired every 2 to 3 years as rainwater slowly seeps into the trunk and into the house. 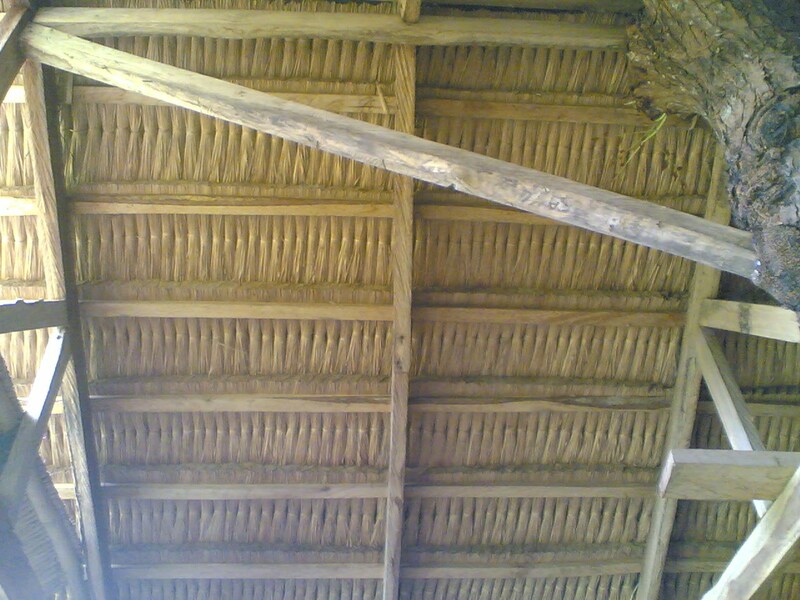 This is the house until early 2009, before we changed the roof to iron. 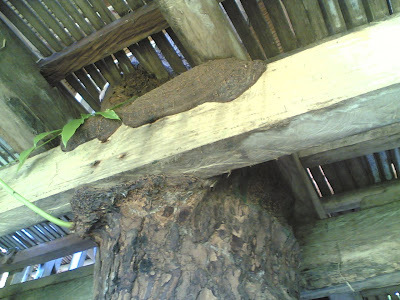 Termites were able to climb up the house and they like munching the rain-soaked cogon roof a lot, contributing to the damage to the roof. The part covered by wooden slabs is the toilet. 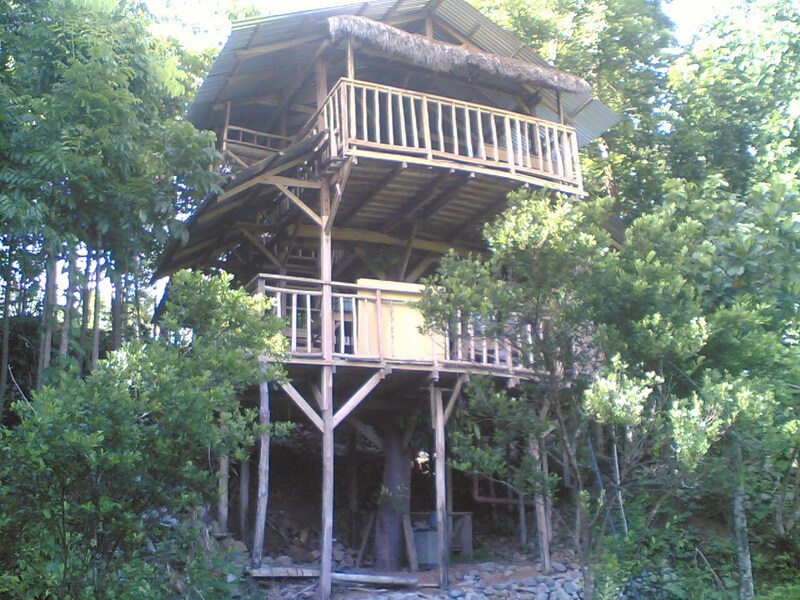 Notice the stone terraces on the right side, fronting the treehouse. And this is the house this year. The cogon roof at the ground floor and second floor has been changed with galvanized iron. The termites on the roof are gone. 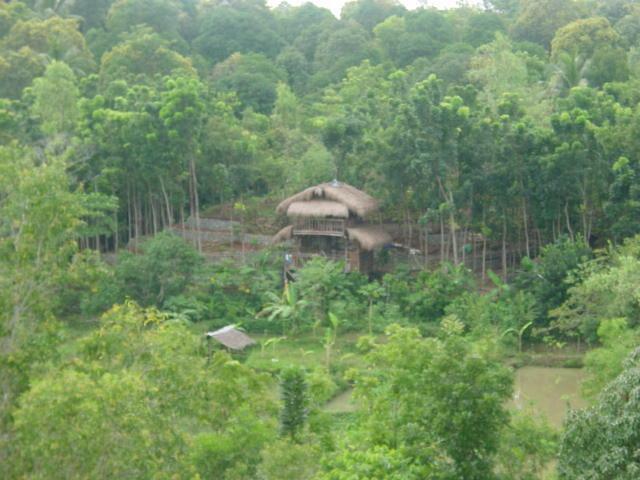 It’s not so hot during cloudless days, mainly because of the surrounding trees and their leaves. But it can be noisy when it rains though. I mentioned above that the 2nd floor is rising by about ½ to ¾ inch per year. The tree’s trunk is rising and getting bigger there, it is trying to move apart the two huge 3 x 6 inches support beam of the 2nd floor. 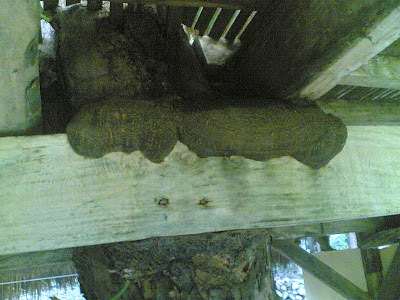 Since the beams are well-secured, the tree has tried a new tack: if it cannot push them away, it will swallow them! A close up view of the thick new “lips” of the tree. At the rate the “lips” are moving and expanding, this part of the wood will be entire swallowed in 3 to 4 years. I do not know if this will break the wood or it will strengthen it by then. 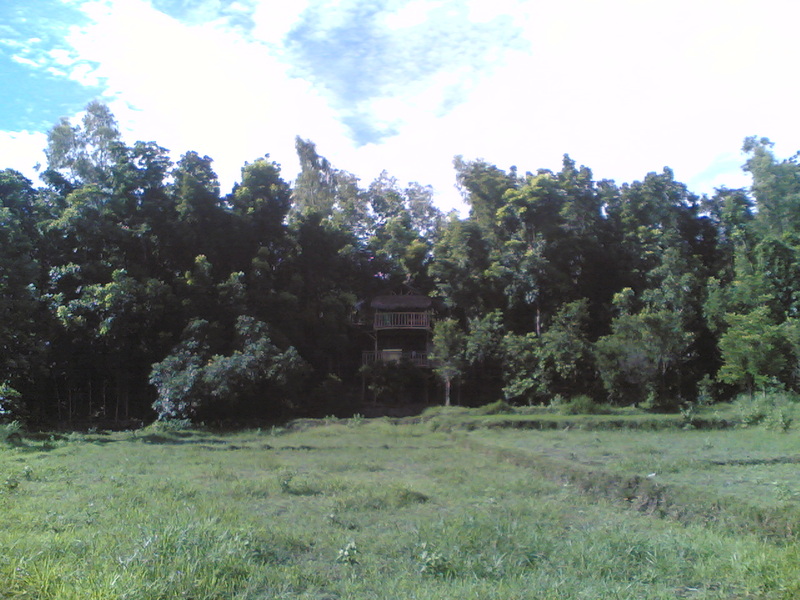 This is a view of the house 5 years ago, sometime in April or May 2005. Notice the trees surrounding it were still thin and small. And this is the house last month. The trees surrounding it have become bigger and taller. At least two big and leaning trees have been cut already as they posed danger to the house during typhoon season. 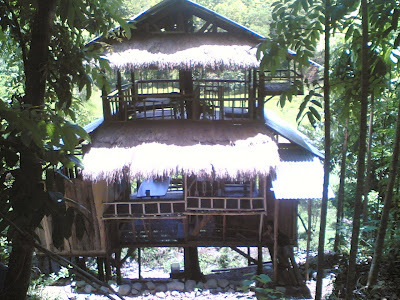 A view of the house on the 2nd floor. Yes, those are live new leaves and branches that grow on the trunk. We have to remove some of them; otherwise, they will grow even bigger and occupy the entire house. A tall, “Tarzan-like house” would need a Tarzan-like carpenter. That carpenter is Charlie Espinoza, the one on the left. Charlie is cool: a rice and vegetable farmer, tricycle driver/mechanic, carpenter, various other jobs, He’s the one who repaired and/or changed the roof. 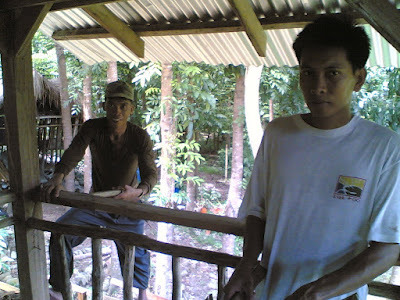 Assisting him, on the right, is Danny Paragas, who also assists his father, Nong Endring Paragas (not shown here) in taking care of the farm. For those who plan to build their own treehouse too, the first thing to do is to have many trees near your area. Plant trees now on your private land, or take care of those that have grown naturally. Take note that the operative term is “tree growing”, not just “tree planting”. 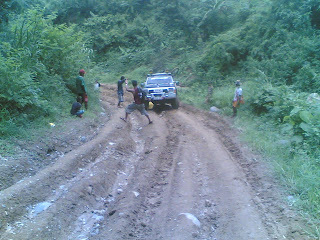 The former means planting trees for the long-term, the latter describes tens of thousands, of such activities every year. An average “tree planting” activity by various groups consist of 99 percent tree planting and 1 percent monitoring. After the picture-taking and being published in some newspapers or posted in some online sites, the newly planted seedlings are left on their own. After a week or a month, many of those seedlings are dead – choked by vines and tall grasses, or got burned in forest fires, or eroded by heavy rains and flash flood, or got trampled by farm animals, etc. Note also that it is very bureaucratic to cut and transport trees even if you’re the one who planted them on your private land. To deal with the forest bureau of the Department of Environment and Natural Resources (DENR), at the central or regional offices, is time consuming and costly. 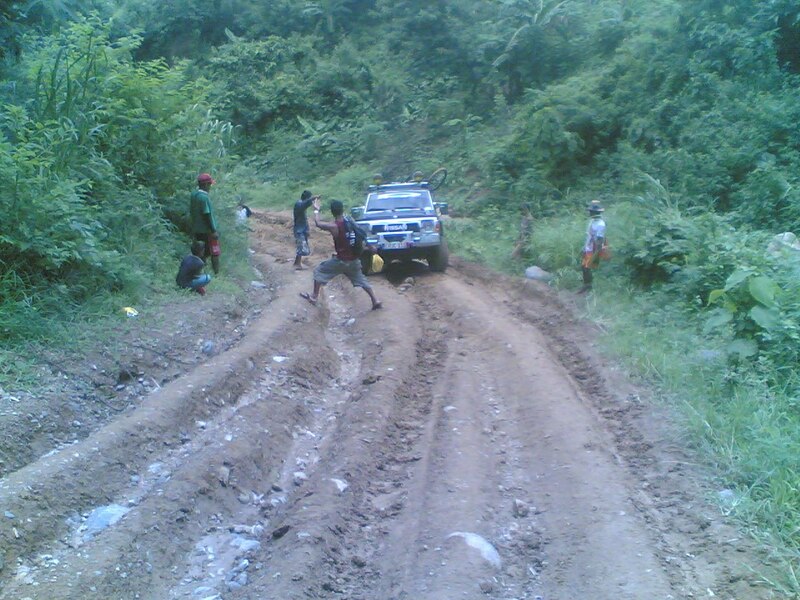 A way to avoid such bureaucracy is to remove the need to transport by truck the wood that you need. Have the trees you need to cut someday be near the house that you will build.